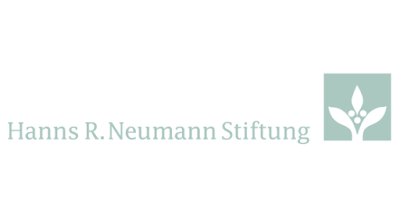 Hanns R. Neumann Stiftung based in Hamburg, Germany, is a Foundation that designs and manages sustainable agricultural development projects worldwide. With over twenty years of experience, Hanns R. Neumann Stiftung contributes to improving the living conditions of smallholder coffee and cocoa farmers through a business approach to sustainable development. Financed by private and public donors, Hanns R. Neumann Stiftung is currently implementing 2 projects over a period of 5 years to promote sustainable smallholder robusta coffee production in South Sumatera Province (Oku Selatan). The projects aim to improve the livelihoods of 15,000 smallholder coffee farming families through production increase, product quality improvement and improved market access. Definite contract for 2 years with option for prolongation. Minimum 10 years of relevant working experience in agricultural development projects, preferably with a focus on organizational development and agriculture. International candidate holding a university degree in economy, commodity trading, business administration, agronomy or a related discipline (preferably related to agriculture and the coffee sector). Self initiative and strong communication skills; accustomed and willing to work under pressure. Willingness to live and work in remote, rural areas. Particular knowledge on: agricultural commodities and smallholder farming, organizational development, agronomy, farm management/organization, processing, marketing, supply chain management, certification systems, methodologies for know-how transfer (esp. agricultural extension). Proficiency in English (verbal and written); concise reporting skills.